Welcome to the judiciary of the State of California. You are joining a bench with a proud tradition and a reputation for quality. California is one of the few states with a professional association that represents all court levels. This unity makes it possible to maintain the California Judges Association as an independent not-for-profit organization with a wide-ranging program of services and benefits. 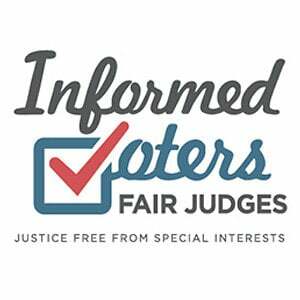 Over 90% of California judges belong and hundreds participate in programs and in leadership. As a new judge, you may be overwhelmed by the transition you are facing and the task of learning the fundamentals. CJA stands ready to listen to your concerns, answer questions and provide you with information about the system and CJA programs. In the meantime, we offer you this folder of information to help get you started. Why should you join the California Judges Association? Watch for CJA’s quarterly magazine The Bench, monthly newsletter The Voice, and legislative and case updates. Call us for information as you explore the judicial system. CJA has group programs of Disability, Term Life and Long-Term Care for you and your family. Some of these need immediate action. Don’t procrastinate! It comes as a shock to many new judges, but accountability is stringent and discipline is a reality. Count on CJA for hotlines, handbooks and basic information. CJA’s education programs complement those of CJER and the Judicial Council. Find the specialized programs that fit your needs. CJA offers a media hotline, a handbook for reporters in your court and tips for handling media interviews. We will also help with your public relations and community outreach. Timely workshops and an election campaign handbook are offered to judicial candidates. When you come up for air, join our policy committees that review new legislation to make sure new statutes are procedurally sound. Improve our legislative advocacy—share your legislative contacts with us!